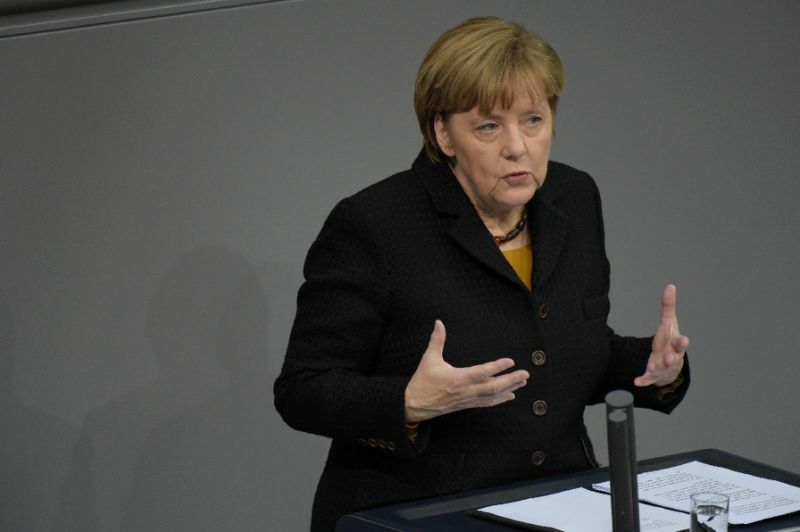 Berlin (AFP) – German Chancellor Angela Merkel Wednesday warned European partners against resorting to national action to deal with the current migrant crisis, rather than working towards a common solution. “Sealing oneself off is not a sensible option in the 21st century,” she told parliament on the eve of an EU summit at which leaders will discuss issues surrounding post-war Europe’s biggest migrant influx. “That’s why we must resist the temptation to fall back on national solutions,” she said. Instead, the 28 members of the bloc should work together toward a “common European and international answer to sustainably reduce the number of refugees,” she said. Despite opposition from some nations, including Hungary and Poland, Merkel insisted however that the EU must agree on a compulsory “fair distribution of refugees to member states of the EU”. Germany is expecting to register one million asylum seekers this year alone, and Merkel’s open-door policy for people fleeing war has divided both her country and the EU. Under pressure, Merkel has pledged to reduce the numbers of new arrivals although she has refused to put a cap on the figures. Merkel’s promise to staunch the flow of refugees rests on medium-to-long term goals, such as tackling the root causes of the mass exodus from crisis zones, increased European solidarity in sharing the refugee burden, and greater cooperation with Turkey, the main launchpad for migrant crossings to Europe. As part of the joint action with Ankara, Berlin wants EU members to help resettle 400,000 asylum seekers currently hosted by Turkey, German media reported. Austrian Chancellor Werner Faymann has however cited a far smaller number of between 40,000 and 50,000 Syrians who could be resettled in Europe from Turkey. In exchange, Turkey would do more to secure its border and allow “very few refugees” into the EU, Faymann said in comments to Germany’s Die Welt newspaper.